I HAVE never understood why people think sporting identities should be role models for kids. It is a totally ridiculous notion - as absurd as believing our kids should follow the often-tardy examples set by their movie star pin-ups or adored rock stars. For mine, young people need to learn from their parents, or their grandparents. And if the vibes are not good in that domain, then schoolteachers should be the sounding board for what is right and wrong. In an ideal world our community leaders - politicians, religious ministers, police et al - would be next rung on the ladder as example setters, but flaws aplenty exist in those areas. 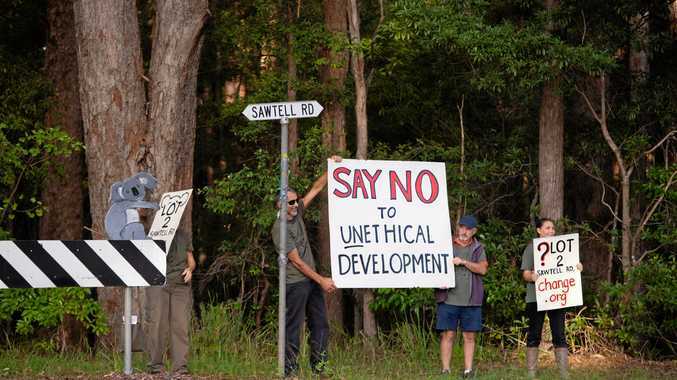 Surely the shameful, greedy events in Canberra this week are enough to turn us away from politicians. And, as disappointing as it is to concede, many sporting legends who once seemed squeaky clean have tumbled down the scale of leadership qualities. Imagine the let-down for those kids who cherished the ground on which Test cricket captain Steve Smith walked, or the greens on which Tigers Woods putted. Even the copybook of the once-revered Wayne Bennett has been blotted in recent times. However, in defence of these people, they never asked to be role models. They are, after all, potentially frail humans like the rest of us and liable to succumb to temptation. But if any parents out there in rugby league land are still keen to find a pseudo role model for their kids, I do have a couple in mind. They are both young - rookies in fact - and play the greatest game of all. One is Lachlan Lewis, the other Kalyn Ponga. Not only are they exceptional young talents, they also appear to be level-headed and unspoiled by their unexpected rise to the top and sudden adulation. And, they seem humble. But they have travelled different roads. Ponga, a former New Zealand schoolboy golf champion, was long ago earmarked a star. 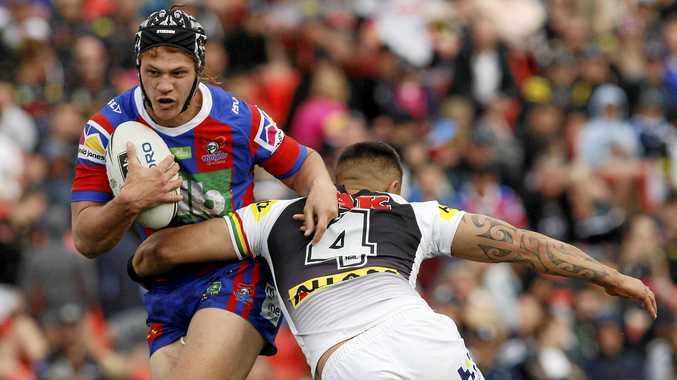 He was offered rugby union and AFL contracts before he decided on an NRL career and went to the Knights. His elevation to the Queensland Origin side this year, and his performance in that arena, indicates an exceptional future. And, hopefully, one where he never changes the demeanour that has won him a host of fans. Lachlan Lewis is a totally different story. Although a talented youngster, he made few junior rep teams and his greatest claim to fame was being the nephew of King Wally. After a less-than successful stint with the Raiders and being told earlier this season by the Bulldogs that he should maybe look for another club, he has suddenly emerged as one of the coolest youngsters in the comp. His post-match interview on Fox Sports after landing the winning field goal last weekend was wonderful. No self-praise, no cliches, no looking away from the interviewer. Here was a young bloke simply enjoying the moment and happy his struggling team had got the win. Hopefully, he too won't change.